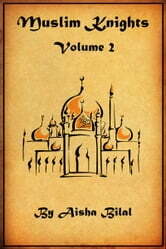 The fourth of the Knights of Arabia series of books and the second in the Muslim Knights line, this book contains some interesting and illuminating stories. If you're looking for some good books about Islam and Muslims, or just stories with a moral, then this is the book for you! Come and read some great anecdotes about famous Caliphas and Sahabis and their equally famous descendants. Story #1: Sa'ad bin Muathe and Musab bin Umair - The first, a leader of the Owes tribe of Yathrib, the second, a devout man from Mecca, when the two meet their views clash, and some truly surprising things happen. Story #2: Muhammad (peace be upon him) - Goes on Hijat Al-Wada'a (the Farewell Pilgrimage) and gives his people many things to think about, not the least of which is the sanctity of human life and how respectfully people should treat one another. 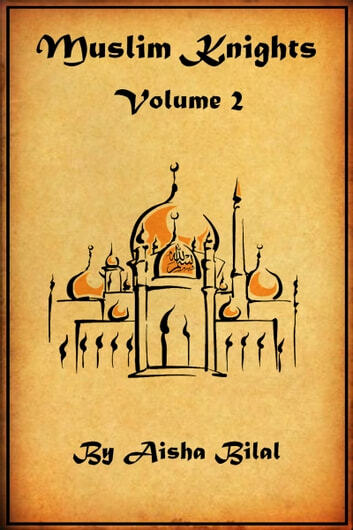 Story #3: Qais bin Sa'ad bin Ubada and Muhammad bin Al-Hanifiya - Two well-known Muslim heroes are summoned before the Amawai Calipha Muawiya bin Abu Sufyan to face two challengers sent to him by a Roman Emperor. Story #4: Abdullah bin Umar - Young and wishing to feel as important as his elders, Abdullah prays for a dream vision and gets more than he bargained for. Story #5: Muhammad (peace be upon him) - The Sahaba [companions and apostles of Muhammad (peace be upon him)] share what they learned about how in Islam slaves are to be treated as brothers. Story #6: Muhammad (peace be upon him) - After a disappointing and hurtful impromptu meeting with an important leader of the Thaqeef tribe, Muhammad (peace be upon him) is given a startling offer by an angel. Story #7: Muhammad (peace be upon him) and Salman Al-Farisi - Muhammad (peace be upon him) explains about the the dual rewards of fasting, and he corrects a confused Udai bin Hatim about when to start fasting for the day. Meanwhile, Salman Al-Farisi chastises a friend for not balancing his family and spiritual lives better. Story #8: Abu Bakur Al-Siddiq - Tired of the Qurashi persecution of all Muslims, Abu Bakur packs up and leaves Mecca for Al-Habasha, a Christian kingdom in Africa, but is forestalled when he meets an old friend. Story #9: Sa'ad bin Abi Waqas - When his controlling mother learns he became a Muslim without her permission, she starts a hunger strike to try and force him back into line. Sa'ad stands up for his right to believe in whatever he wants and confronts his manipulative mother for the first time in his life. Story #10: Salim bin Abdullah bin Umar - While praying at Al-Masjid Al-Haram (the central mosque of Islam) Salim is greeted by Amawi Calipha Sulaiman bin Abd Al-Malik who tries to grant Salim a boon. Salim takes the opportunity to teach the well-meaning Calipha a lesson in humility. Included in this ebook is a map illustrating the locations of the cities and areas mentioned in the stories.